Watch folders to automatically add PDFs! You can automatically add PDFs to Mendeley as well, by watching a folder on your computer. 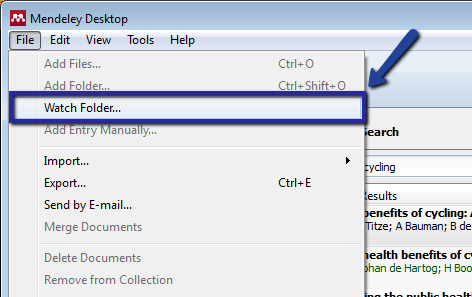 To set this up in the Mendeley Desktop, go to File and click on "Watch Folder..."
From there you will be prompted to select a folder on your computer (ideally, one that you regularly save your articles to) from which Mendeley can add multiple papers in one go to keep them where you want on your computer.